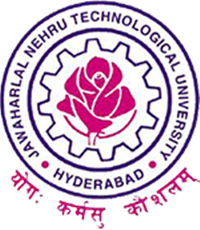 JNTUH Academic Regulations: JNTU Hyderabad Academic Regulations PDF For B.Tech/B.Pharmacy/ MBA/ MCA/ M.Tech / M.Pharmacy (UG & PG) R18, R17, R16, R15, R13 Regulations. Students who are having enthusiasm to know about rules and regulations can download their Academic Regulation PDF so that, they can get the overview of their rights and duties that type of activities can be allowed in their College premises. What type of activities is to be encouraged and for which type of activities students will be punishable and they are not encouraged to do some of the listed activities in the Academic regulations. Candidates who are pursuing B.Tech/B.Pharmacy/ MBA/ MCA/ M.Tech / M.Pharmacy under JNTUH can download the Academic Regulations from the below links which we were provided to you. It gives the complete information about rules, orders, Requests and orders passed by the government and administrations. JNTUH Academic Regulations provides the information about the Activities not to be done by the students, Teachers and organisation. It gives the Detail information about the rules that followed by the Organisation.